We have been tracking this e46 M3 for many many years. Over the years it has grown from a daily driven street car into a dedicated track car. The idea is to make it a reliable and capable track car yet keep it streetable in order to test suspension products and enjoy driving it to events such as cars and coffee. It has some basic safety equipment such as a 4 point cage, seats, and harnesses. Engine upgrades were kept simple to ensure reliability with headers, exhaust, software and upgraded cooling being the extent of the mods. 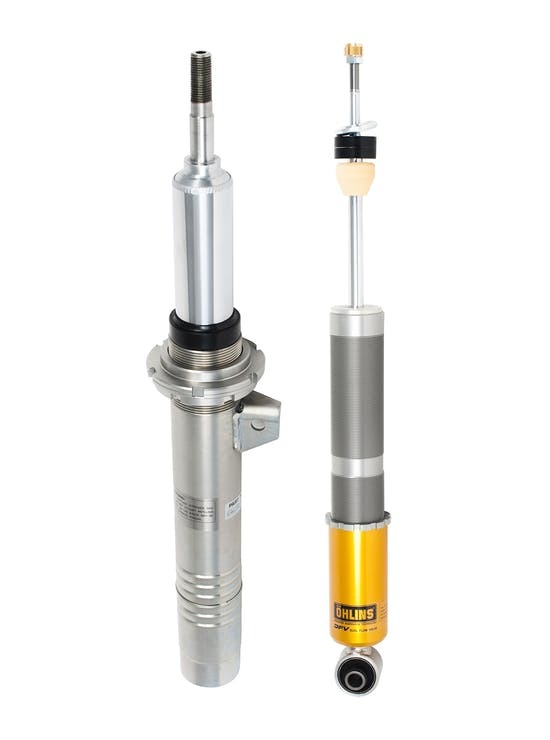 We started developing an Ohlins suspension package over 8 years ago as a “one off” solution but we are now taking it to the next level and offering it as a full kit. See below for a sneak peak of the new kit. The concept of this suspension kit is to create a kit that can grow with your skills. 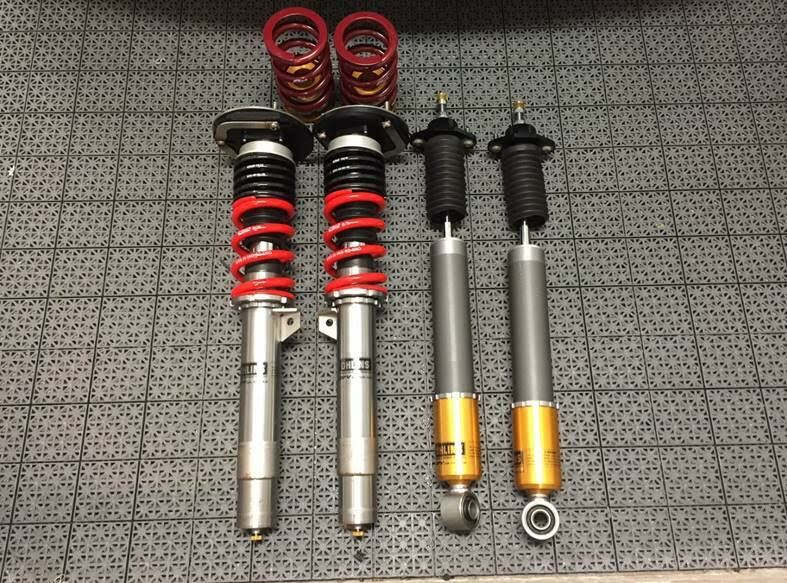 Start out with the basic Ohlins Road and Track kit from 3DM Motorsport with pre-assembled OEM top mounts. 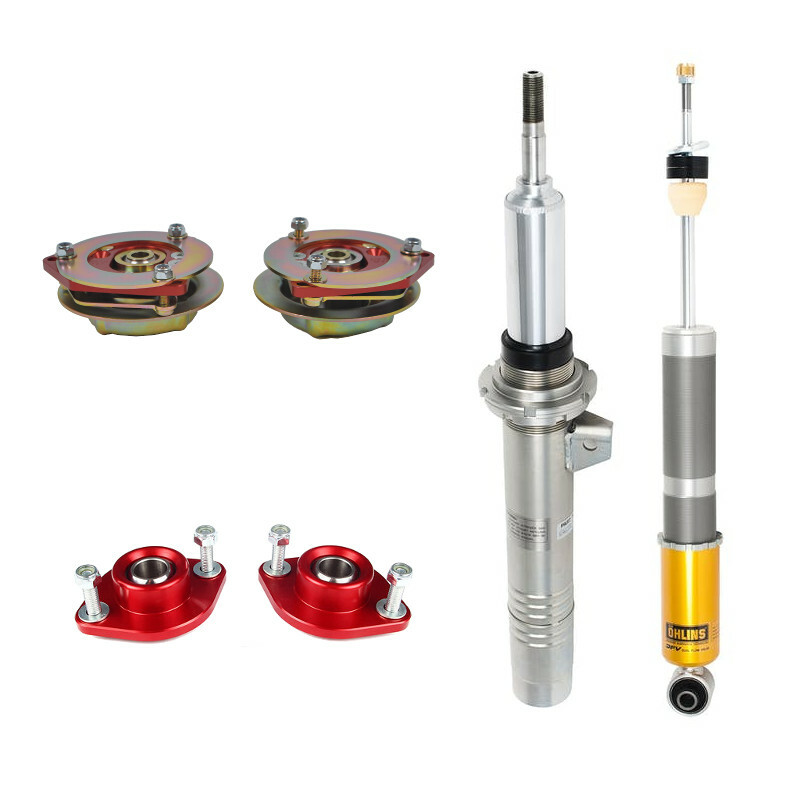 Then as your skills develop on the track, swap out the OEM top mounts with camber plates specifically designed to work with the Ohlins spring package, there will be no need to buy new springs. This will help with grip and tire longevity on the track. When you are ready to dedicate your car to sole track use (IE trailer it to the track), send your Ohlins Dampers to 3DM and we will revalve them and upgrade the spring package to race springs for the ultimate track going suspension kit.